Dakota R. Garilli reads "What I Would Gladly Sacrifice"
"What I Would Gladly Sacrifice" first appeared in Weave Issue 09. I'm so proud to have poems as moving, beautiful, and interesting as this in Weave. 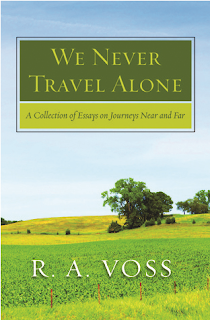 R. A. Voss’s essay collection, We Never Travel Alone, has been accurately billed as an all-in-one book that nonfiction readers with tight schedules and chaotic lives always seek. And, indeed, it is a mixture of “Travel/Nature/Memoir/History,” as the book’s back cover proclaims. At the heart of each chapter, Voss invites readers to travel the world with her as she charts geographical locations such as the Anne of Green Gables historic site on Canada’s Prince Edward Island, her ancestors’ hometown in northern Germany, and her brother’s archaeological dig site in Israel. And that’s before factoring in the Iowa landscape where she was raised. But not all of Voss’s travels feature traditional globetrotting. 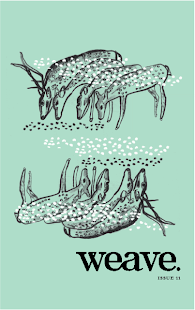 Her chapter “My Solitary Journey to the Deep” leads readers into the realms of deep sleep. Or, more accurately, into the no man’s land that lies on the other side of a good night’s slumber—one disrupted by blaring alarm clocks, a snoring husband, and the near-constant urge to pee. And in “Bragging Rights,” Voss shows both literal and metaphorical journeys when strains of discord emerge during a boat trip with her then-husband. “I have missed feeling their first kicks inside my womb. I have missed feeling their soft warmth nestled against my chest. I have missed their sticky faces and their muddy little hands. I have missed my unborn children each time a child of one of my friends, born near the time one of mine would have been born, passes through any of the milestones that mark a child’s journey through life” (127). “One can take a drive through the countryside in any county in Iowa and find the landscape still dotted with now-defunct windmills standing like sentries over the land” (59). Here, as in many other places in We Never Travel Alone, Voss’s practiced eye and straightforward yet imaginative prose allow readers to find beauty in a seemingly wasted landscape. All in all, Voss’s collection of dazzling journeys is impressive in its scope. Although constantly surrounded by appealing locals and fellow travelers, she manages to craft a series of thoughtful meditations on a diverse array of places. Whether ruminating on a surprising act of violence in a Buddhist monastery or exploring notions of motherhood during a road trip to visit nesting eagles, Voss proves a thoughtful tour guide and, most importantly, a worthy companion for any armchair traveler. Thank You, Weave Magazine Subscribers! 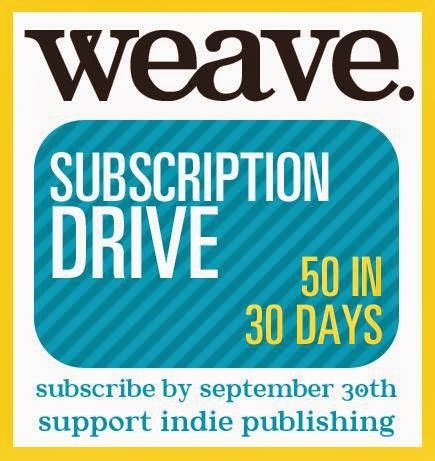 We'd like to take a moment to send our thanks to the wonderful people who subscribed to Weave Magazine during our September subscription drive. We hope you enjoy reading these issues as much as we have.